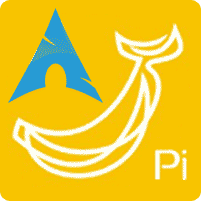 Arch Linux is a simple lightweight linux variant inspired by CRUX. The design approach of the development team follows the KISS principle (“keep it simple, stupid”) as the general guideline, and focuses on elegance, code correctness, minimalism and simplicity, and expects the user to be willing to make some effort to understand the system’s operation. There are 3 tutorials in this guide. 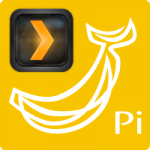 One for how to install Arch Linux to Banana Pi Pro using Linux. 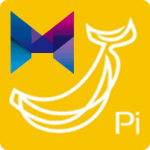 Another for how to install Arch Linux to Banana Pi Pro using Windows and finally a guide on organizing the default Banana Pi user to a Banana Pi group. It also has instructions on how to use pacman. You can use this part to install Arch Linux to the SD Card using a Linux distribution. You can do this part using most Linux distributions but a Debian based one is recommended. Download the official LeMaker Arch Linux image. Extract the official LeMaker image. 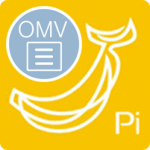 Use fdisk to see the SD card used for the Banana Pi Pro (Usually sdb or sd something). Flash the image to the card. Now you can put the SD Card in the Banana Pi Pro and boot it. 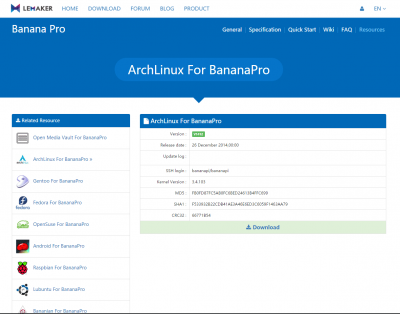 Download the Arch Linux LeMaker Archive file. You can download it from the LeMaker Website. Then extract the image file using WinRAR or an alternative that can extract .tgz files. Install Win32DiskImager from Sourceforge and Open it. 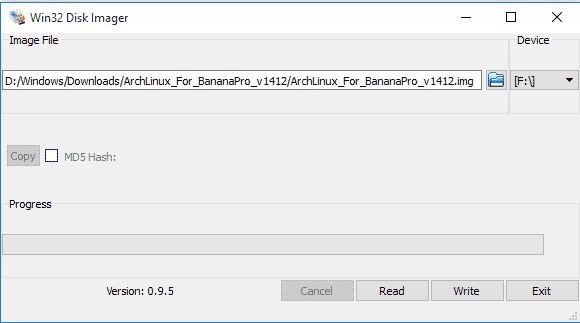 Select the Arch Linux image file and use drop down to select your USB. 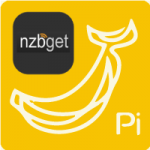 By Default SSH is activated and the user details are, bananapi and bananapi or root and root. To install a package type, a list of packages are found here.